The wholly owned subsidiary of Liquefied Natural Gas Ltd, Magnolia LNG LLC, has executed a Technical Services Agreement (TSA) with Kellogg Brown & Root LLC, a wholly owned subsidiary of KBR Inc. to undertake cost verification and provide other services supporting project delivery. Under the proposal, KBR and SKEC will form an integrated EPC joint venture (JV) which will execute a bankable EPC contract following the formation of their EPC JV. 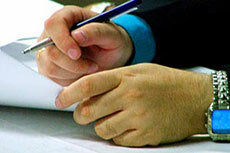 Both companies will also work collaboratively to complete the scopes of services provided under their respective TSAs. Magnolia LNG and SKEC have also initialled the updated EPC contract as originally planned, which incorporates all requirements stipulated by BNP Paribas, Magnolia LNG’s project finance adviser, Merlin Advisors LLC, the lenders' technical consultant, legal advisors White and Case and Stonepeak Partners LLC, the proposed Magnolia LNG project equity partner. KBR will further review and advise on this updated contract consistent with its joining the project as a contractor joint venture partner. SKEC's participation as a member of the integrated EPC contractor joint venture will be finalised through establishment of the EPC contractor memorandum of understanding (MOU) to be executed in January among the parties Magnolia LNG, SKEC and KBR. LNG Ltd Managing Director and Chief Executive Officer, Maurice Brand, said that "the EPC JV structure is common in the LNG industry with each participant able to provide their experience and expertise. KBR is a well credentialed LNG EPC contractor and will provide the Project Director and access to the full global resources of the KBR group. 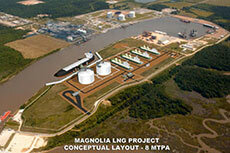 This will be particular relevant as Magnolia LNG moves to commit to the full 8 million tpy." Magnolia LNG's Chief Operating Officer, John Baguley, added: "Our [Magnolia LNG] team recognises the excellence delivered by the SKEC organisation to date. With the project now further advancing towards EPC, we are pleased to have KBR's additional experience and resources available as we finalise the EPC contract and project related activities towards our planned financial close in mid-2015. The period from now through to 31 March 2015, during which we will merge the provisional sum elements into the combined lump sum, fixed price contract, will position Magnolia LNG to rapidly enter into the construction phase as necessary approvals and licenses are received. This period will also enable us to incorporate any comments received from FERC during their preparation of the Draft Environmental Impact Statement, and to undertake the necessary rigorous planning and scheduling required to support achieving first LNG in 2018. The original SKEC project schedule and budget covering the period through to 30 June 2015 remain on target." 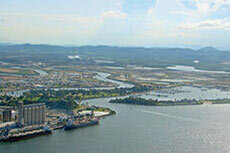 LNG Ltd has provided an update on the status of Information Requests from FERC in relation to Magnolia LNG. LNG Ltd has confirmed that Magnolia LNG and Kinder Morgan Louisiana Pipeline have submitted responses to two separate environmental information requests from FERC. 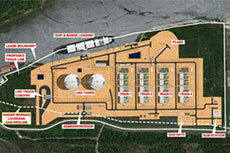 LNG Ltd takes steps towards recommencing the development of its Fisherman’s Landing LNG Project. Maurice Brand will remain the Managing Director and CEO of LNG Ltd until mid-2017.